DA550 is certified to 80 PLUS Bronze, achieving up to 87% electrical efficiency, lowering heat generation and reducing operational costs. 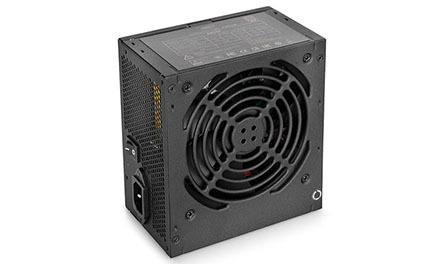 Outstanding and stable performance of this PSU makes it one of the best choices for a wide range of applications. Double-Layer EMI Filter for protection against electromagnetic interference (EMI) and for noise control. 80 PLUS Bronze certified, providing a high energy efficiency performance of up to 87%. Click here to view the certification. Smart eco-friendly chipset, consuming only < 1W in off-mode. Compliant to ErP standards.